Mmmm yummie creamy peanut butter, a wonderful source of protein right? But is it really safe to be feeding this to our birds or even ourselves? I have been a long time advocate against peanuts (in or out of the shell), but after some research I sadly realized that peanut butter also contains aspergillus mold. Aspergillus is a mold found in small amounts in wheat, most legumes, and most tree-based nuts. It is found in particularly large quantities in corn and peanuts. Furthermore, aspergillus is one of the types of mold which produces a carcinogen known as aflatoxin, which is considered a cancer-causing substance in humans and animals by both the FDA and world health authorities. Here is what I have learned about peanut butter, and I was shocked and horrified as well. Why, because I have given peanut butter to my own birds :(. We all think organic is better, well not so with peanut butter. 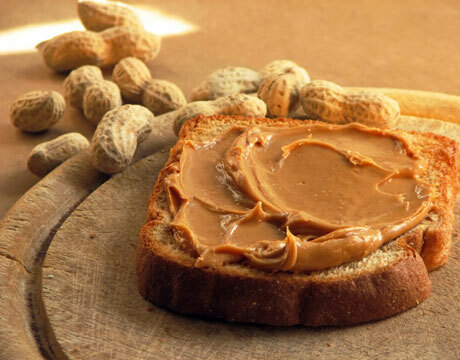 Actually the organic or natural peanut butter “may” contain the highest amount of aspergillus. However the roasting process in peanut butter doesn’t kill all of the mold either, it eventually grows back. You can make sure to check the dates on the peanut butter and buy the newest one, keep it in the fridge (this helps to prevent the mold from growing back). But how much is too much? I personally just cannot take the risk. It is not something you can’t see with the naked eye either. Because while the USDA and FDA has rules for how much aflatoxin is allowed in food before it’s shipped to stores, there’s no measure of it after it reaches the stores. Those peanuts could have been sitting on the shelves at the store for weeks or months at room temperature, building up mold. It’s even worse if the air is mildly moist. Your safest source of peanut butter is generally your named brand varieties. The companies that make those generally get the peanuts fresh, roast and grind them immediately, put them through an effective cooking and homogenization process, then seal them in airtight jars. They are sold more quickly and therefore are not sitting on the grocery store shelves as long. The mold buildup on those will be much lower than your typical “fresh” or “natural” peanut butters. As a general rule, no matter what kind of peanut butter you buy, it’s safest if, after you open the airtight seal, you refrigerate it. This slows down the mold buildup and reduces the amount of aflatoxin produced over time. It does reduce the cancer risk. The aflatoxin threat is taken seriously enough that OSHA actually requires workers dealing with large quantities of peanuts to wear facial masks so they don’t breath in too much of the mold. I have read that two tablespoons of peanut butter a day produce a higher risk of death than living next to a nuclear power plant. A lot higher, if you eat peanut butter made from peanuts that sit around on the shelves for weeks at a time, or from opened jars of peanut butter that sit around unrefrigerated for weeks at a time.